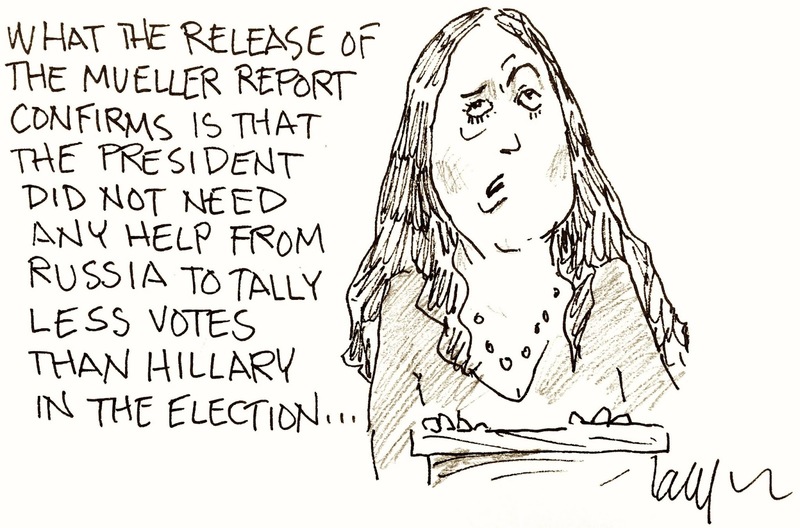 ■ Every story on the front page of today’s (print) New York Times is about the Mueller report, as noted in Brian Stelter’s CNN newsletter, Reliable Sources. ‘False, offensive, baseless.’ The Chicago police union, which has yet to endorse either Toni Preckwinkle or Lori Lightfoot for mayor, is condemning a congressman’s attack on Lightfoot. ■ Lightfoot, who’s been portrayed as a “wealthy corporate lawyer” (March 21 link), says she’s open to the notion of a tax on big law and accounting firms. ■ Sun-Times columnist Laura Washington: “Lightfoot and Preckwinkle can be each other’s best, most powerful ally” if they make peace with one another. ■ The president of the Civic Federation encourages the next mayor to think big about spending cuts—considering things like cutting the number of firehouses, merging the city transportation department with the CTA and other transit agencies, and reducing the school system and the park district to city departments. ■ The next mayoral debate: 7 p.m. on WGN-TV. ■ You still have time to consult the Chicago Public Square voter guide. Would-be cop charged with cop’s murder. Police say one of two men charged overnight with shooting and killing a Chicago police officer once applied to be a Chicago police officer himself. ■ See someone mentally ill on the CTA? 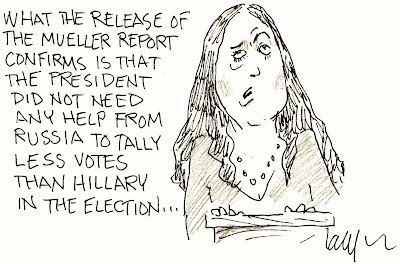 The Tribune’s Mary Wisniewski explains what to do. ■ Complaints about potholes in Chicago are running dramatically higher than they were last year. Massacre’s long tail. For the second time in a week, a student who survived the attack on Marjory Stoneman Douglas High School has apparently committed suicide. ■ National Rifle Association spokesdemon Dana Loesch is under fire for comparing Parkland victims’ families to the Salem witch trials. ■ … and all the buzz suggests it’ll spotlight the company’s plans to dominate Hollywood and the news business. ‘Trump derangement syndrome therapeutic’ science fiction. In Chicago for the C2E2 pop-cult convention, journalist and author writer Cory Doctorow joins the Chicago Public Square Podcast to connect the dots between his new collection of novellas, Radicalized, and the present political era. ■ Video highlights from C2E2 include reunions for the casts of Clueless (the movie) and Animaniacs. Do you find Square useful? Join the generous readers supporting this news briefing for just a few cents a day. ■ Thanks to reader Pam Spiegel for noting a redundancy in the Doctorow item above.